Enjoy the vibrant art and cafe scene, local farmers market and the famous Bennetts Chocolate Shop. Soak up the natural beauty of this slice of coastal paradise, beachcombing, bush walking or just relaxing on the deck with a glass of something cool. 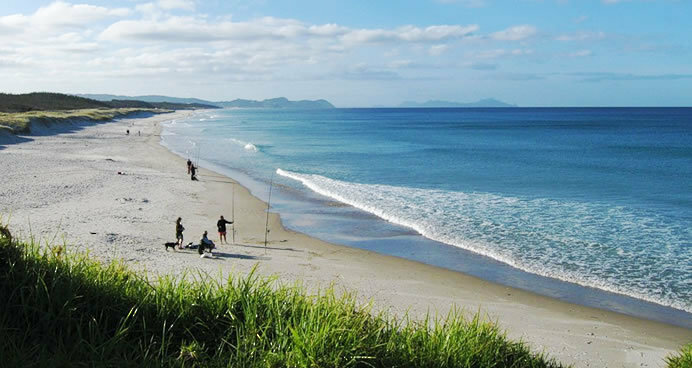 Overlooking the upper reaches of the Hauraki Gulf, Mangawhai has five white sandy beaches within a 15 minute drive of each other. The subtropical climate makes the area a perfect water lover’s paradise.